Most Americans would be shocked to learn that each year 9.5% of deaths each year (the third Leading cause), are caused by medical errors Within the hospital community these events are referred to as Never Events, and Endur ID is doing their part to help minimize these occurrences. Never Events are often publicly reported which adds pressure for the medical facilities to improve their checks and balance systems. It has been reported that miscommunication and or distraction are significant factors that lead to the occurrence of Never Events. Every procedure or process in the medical setting is preceded by a check of a patient’s identity. Fundamental to the process is knowing, without doubt, that the procedure will be performed on the correct individual. 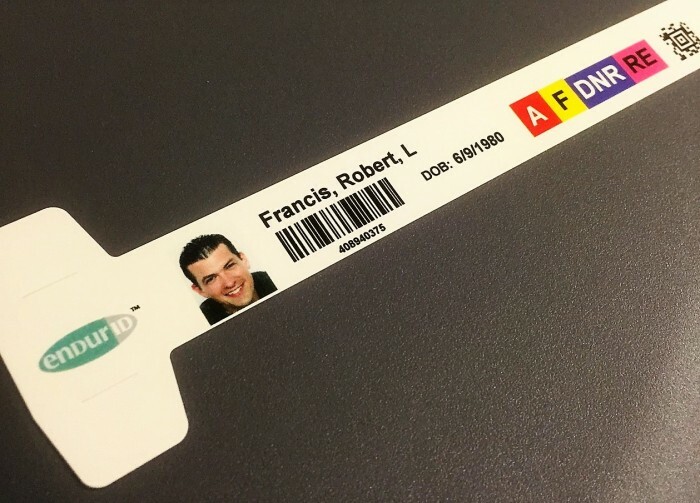 Proper patient identification eliminates the possibility of the wrong individual receiving the treatment or medication. While identification cannot prevent every Never Event, it can reduce the possibility of one occurring in many cases. The cost, both emotionally and financially of Never Events within a facility can be devastating to patients and staff alike. Mistakes will always happen, but Never Events can certainly be lessened reduced by the use of these simple but straight forward technologies. Information in this blog was obtained from…..